Elote is the Spanish name for the popular corn on the cob sold by street vendors in Mexico. Sometimes the cobs are on sticks to make it easier to eat while on the go. 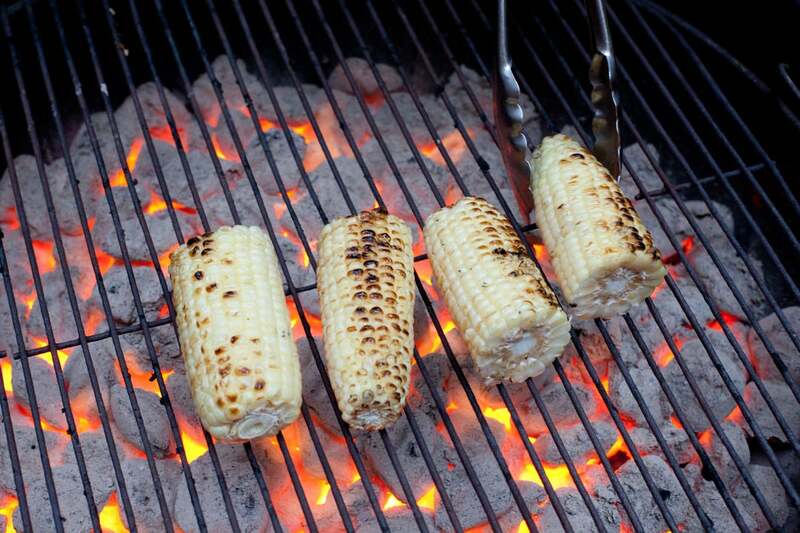 The sugars in the sweet corn char when roasted or grilled on an open flame. The smoky cob is complete when it’s smothered with any number of toppings like crema (Mexican sour cream), cheese, spices, and lime. Place the chicken in a large pot. Add a big pinch of salt and enough water to cover the chicken by about 2 inches. 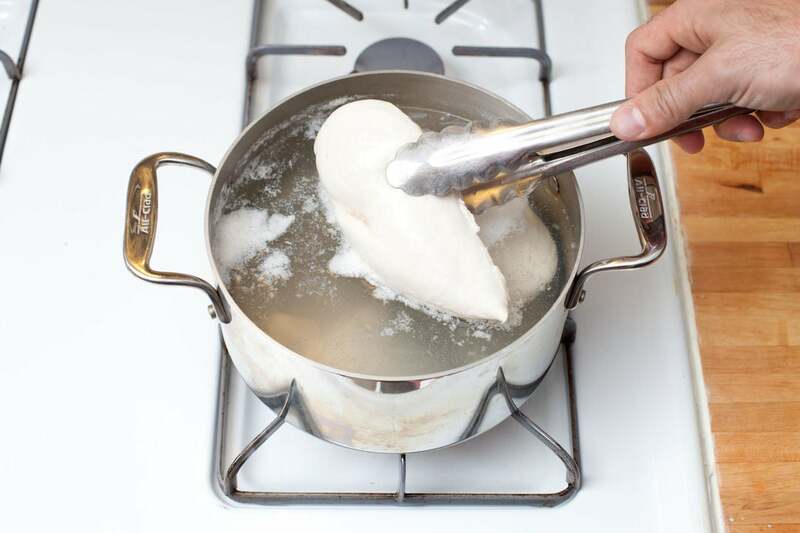 Bring the water to a boil, then cover and remove from the heat. Let stand 10 to 15 minutes, or until the chicken is cooked through. 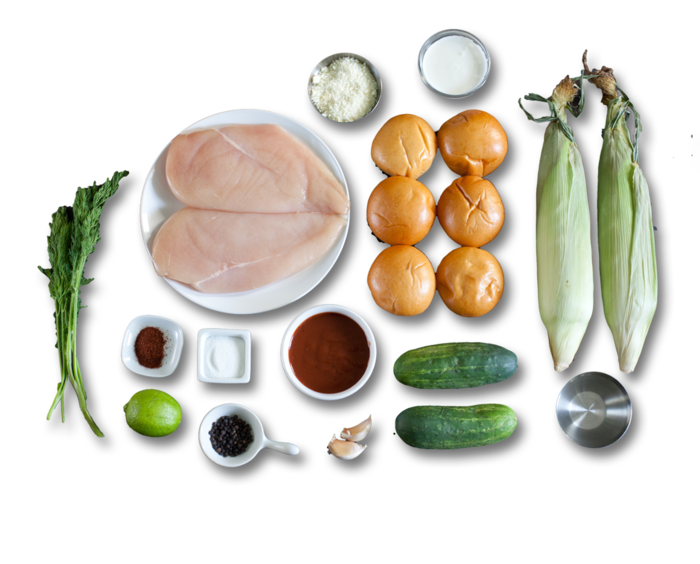 Transfer the poached chicken to a cutting board to rest and cool slightly. While the chicken poaches, wash and dry the fresh produce. Peel and roughly chop the garlic. Peel off the husks and remove the silks from the corn. 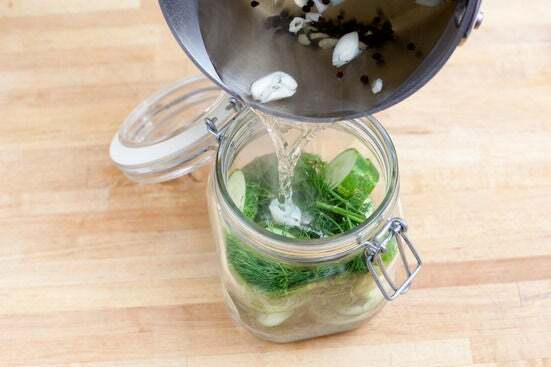 Slice the cucumbers and place them in a heatproof bowl or jar. Roughly chop the dill. Slice the slider buns in half. Using a fork or your fingers, shred or pull the poached chicken into a medium bowl. 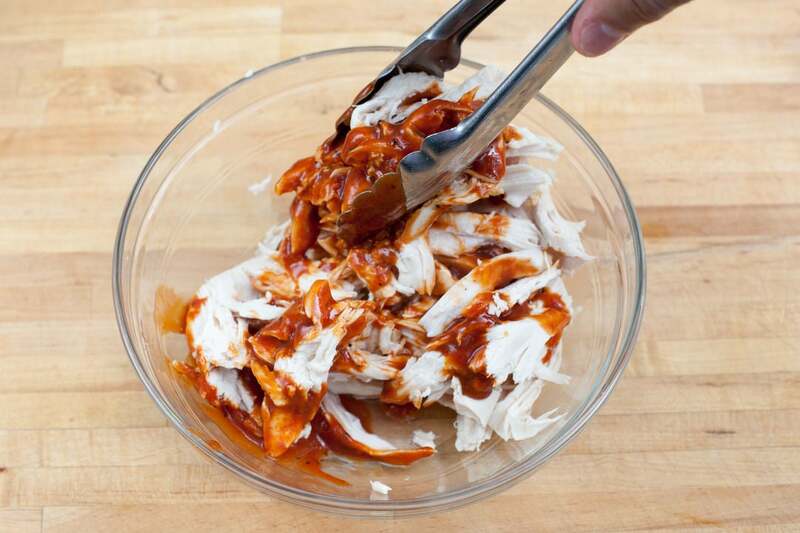 Add the barbecue sauce to the chicken in the bowl, and stir to combine. Season with salt and pepper to taste. 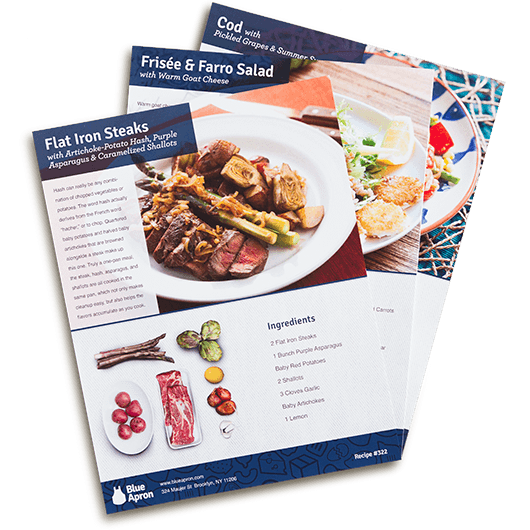 Preheat your broiler or your grill on a medium flame. (You could also use a stovetop grill pan on medium. 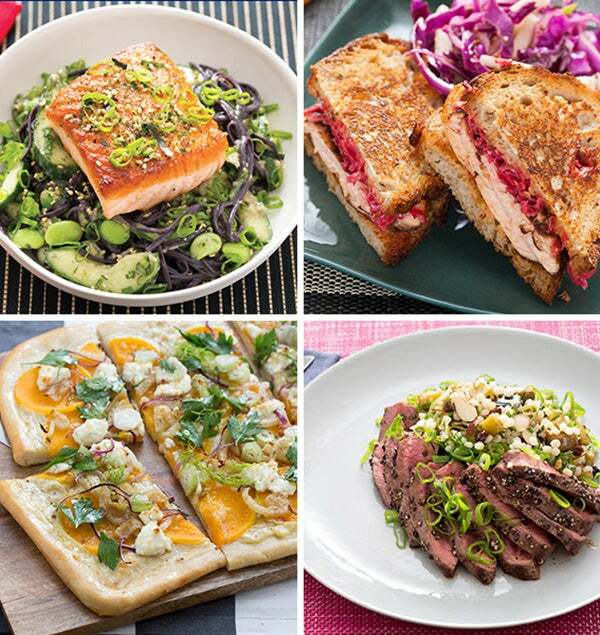 If broiling, use a broiler pan or broiler-safe baking sheet or dish, set at least 4 inches from the heat source.) Grill the corn 10 to 12 minutes, or until charred on all sides, turning to ensure it makes contact with the grill. 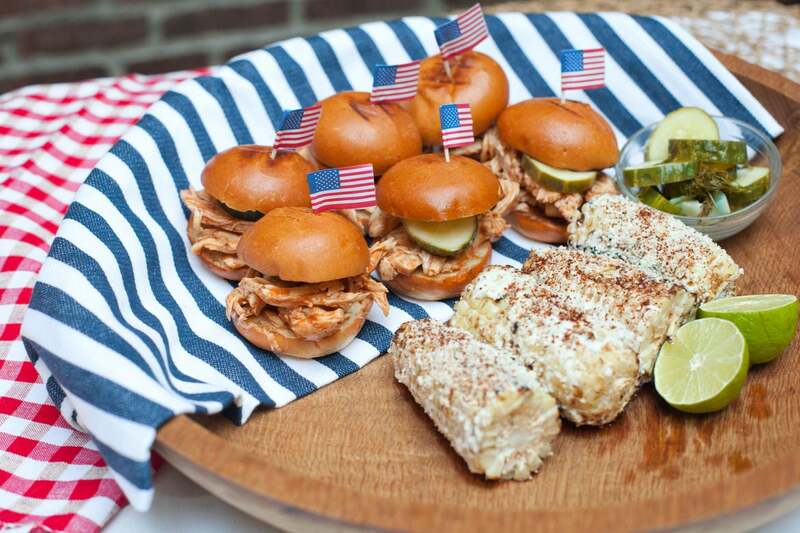 Just before the corn is done, add the slider buns to the grill and toast them for 1 to 2 minutes. 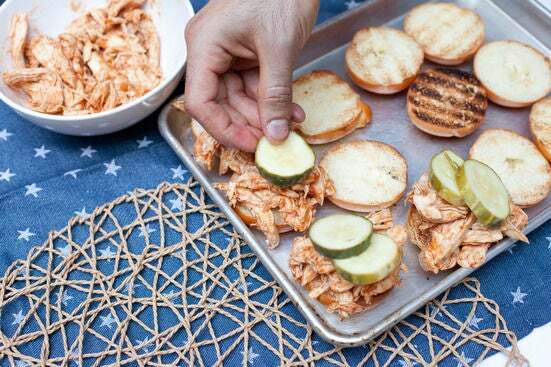 Divide the pulled chicken between the slider buns. Drain the pickles and place 1 or 2 on each slider. Place the Mexican crema on a small plate. Roll each piece of grilled corn in the crema, then sprinkle each with the cotija cheese and the Mexican chili powder. Squeeze some lime juice over the corn. 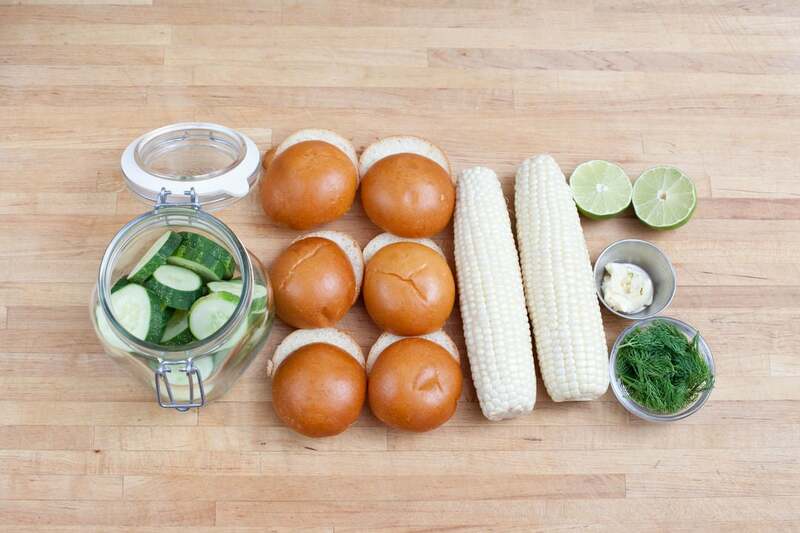 Serve the corn with lime wedges. Enjoy!